The state by state debate about the decriminalization and legalization of marijuana and medical marijuana can sit down. It isn’t the only cannabis-centered issue that has the nation’s attention. While medical marijuana is gaining favor for treatment of seizures in children and nausea and pain in patients suffering from acute illnesses, synthetic marijuana is having the opposite effect. It is being blamed for the deaths and injuries of increasing numbers of young people. Synthetic marijuana is a designer drug that contains synthetic cannabinoids that mimic some of the effects of marijuana on the body. Because there is no quality control on the product, however, and the chemical additives have been blamed for multiple cases of stroke, seizure, brain damage, and death. Because neither the chemicals nor their concentrations is regulated, users have no idea how to predict what the reaction will be once they have used the drug. HU-210, one of the active ingredients found in spice that was confiscated by U.S. Customs and Border Protection is determined to be 100-800 times more active than THC, the psychoactive component of natural marijuana. Equally troubling is the drug’s availability to young people. Synthetic marijuana can be purchased over the counter in gas stations and head shops. Packages are labeled as not safe for human consumption, but this doesn’t stop users who are looking for a non-detectable high. Synthetic marijuana is marketed as natural incense and herbal smoking blends. It is known as Spice, K2, and spice products. Earlier this July, Connor Eckhardt, a California teen, died from complications caused after smoking a spice product. According to Emily Foxhall, writing for The Daily Pilot, Connor took a hit of spice on Saturday night and by midday Monday he was in Hoag Health Center in Newport Beach, California in a coma with a swollen brain. Connor’s family was on a trip to Puerto Rico when their son and brother became gravely effected by the drug. After learning that he was in the hospital, they flew home to be with him. Though it was clear that Connor would not recover, he remained on life support for four additional days while his organs were maintained for donation. During this time, his adoptive parents and siblings sat by his bedside and prayed and spent time with him. Because of the health risks and unpredictability of the various versions of spice products, six states had banned the product as of 2010. The problem is that instead of banning the product in general, individual components are banned. The Drug Enforcement Administration (DEA) has identified five active and highly toxic chemicals often found in spice product that it considers to be Schedule I controlled substances. Manufacturers sidestep bans by substituting different ingredients in their products. In Germany, France, Ireland, Switzerland, and Romania, spice is illegal. In Finland, spice product is considered a medicine and is unavailable except by prescriptions which are, in practice, not given. The product was first found in Europe in 2004 and has become a popular party drug because of its marijuana-like high and easy availability. 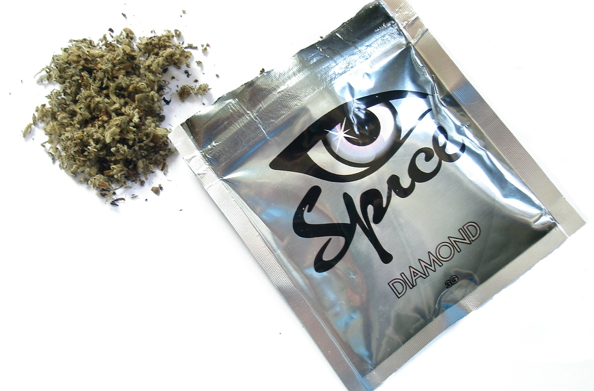 The synthetic marijuana products known as spice product, Spice, and K2 are different than shisha, a fruit-infused tobacco product that is smoked through a hookah pipe that is gaining widespread popularity amongst the high school and college-aged students. Though shisha carries the same risks that are associated with tobacco consumption, it does not carry the mind-altering and severe physical risks that are associated with the synthetic chemicals contained in spice products. Parents are urged to speak to their children about the potential harmful effects of using spice products. Further information can be found in the sources below. 21 Responses to "Synthetic Marijuana Kills Teen"
An added important part is that if you are an older person, travel insurance with regard to pensioners is something that is important to really contemplate. The mature you are, a lot more at risk you will be for having something negative happen to you while abroad. If you are not covered by a number of comprehensive insurance plan, you could have a number of serious problems. Thanks for revealing your advice on this web site. One thing I would like to comment on is that weightloss program fast can be carried out by the appropriate diet and exercise. Someone’s size not only affects the look, but also the entire quality of life. Self-esteem, melancholy, health risks, as well as physical ability are impacted in putting on weight. It is possible to just make everything right and still gain. In such a circumstance, a medical problem may be the culprit. While an excessive amount food instead of enough work out are usually at fault, common medical conditions and widely used prescriptions can easily greatly enhance size. Many thanks for your post in this article. Hello! I’ve been reading your blog for some time now and finally got the courage to go ahead and give you a shout out from Porter Texas! Just wanted to tell you keep up the great work! They are not protecting “us”, they are keeping them from people who want to use it. Spice obviously should be illegal. The state and cities are not doing their duty to protect us from such harmful drugs. People in the Conner’s neighborhood should organize a boycott of those stores that sell it. These stores will probably back down and stop selling it. This is a legal way to slow down the sales while waiting for the government to act. Agree. Pharmaceutical drugs will kill you before Marijuana will.